Ryan Lee active Navy will be at the BBQ at the Long Beach Rod and Gun Club. 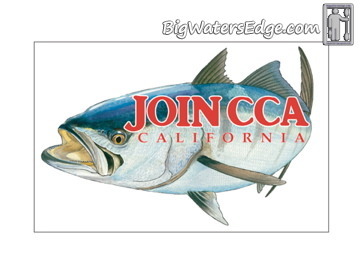 Ryan was our guest at the last Battle of the Bays kayak tournament and he wants to come and enjoy some more CCA CAL hospitality and a delicious BBQ. We have 10 tickets available to any active servicemen/women and their spouses....Just get in touch with Jim Salazar at jim@sabaslayer.com and I'll arrange to have tickets waiting for you. THANKS FOR YOUR SERVICE RYAN...!!! Last edited by Saba Slayer; 05-16-2018 at 01:27 PM. Great offer I wish I could go but unfortunately I have military duty that day, I want to inquire about joining the Long Beach Rod and Gun Club I tried joining the Redondo Rod a Gun club a few years back but the only way I could join was to attend one of their events and every time they had and event I was stuck on duty :-(. Somebody must want some free BBQ...?